Deposit interest rates in the dong this year are expected to rise 1 percent against last year, according to a report from the National Financial Supervisory Commission (NFSC). According to the NFSC’s latest report released this week, banks will see increasing capital needs after credit growth has accelerated and outstripped capital mobilisation. Besides, the hike in interest rates will be driven by higher inflation expectations and the revision of a central bank regulation that reduces the use of short-term capital for long-term lending, the commission noted. 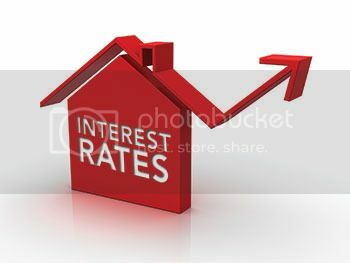 However, the commission anticipated that lending rates would remain under control to support economic growth. The commission reported that inter-bank interest rates also went up in the first quarter of this year, in comparison with a year earlier, particularly at longer-than-12-month terms. Last week, ANZ also noted assuming the central bank allows sufficient flexibility in the USD/VND rate, interest rates may rise as the dong liquidity will likely remain adequate. “However, so long as the central bank keeps a cap on deposit rates in the hope of discouraging inefficient use of capital, the room to raise policy rates is limited,” ANZ said. Under the NFSC report, the commission also said that the non-deliverable forward (NDF) for the USD/VND rate was flat in March and the country’s credit default swap (CDS) was on the decline, indicating strengthened confidence of foreign investors in the dong. Analysts at Maritime Bank this week also forecast that the USD/VND rate is forecast to remain steady in the second quarter of this year. Thanks to its success in reducing dollar hoarding and pressure on USD/VND rate after applying a daily reference rate, the State Bank of Vietnam (SBV) will be capable of keeping the USD/VND rate stable in the second quarter of this year. “In Q2 2016, we expect the USD/VND rate to continue staying steady or declining slightly, enabling the SBV to buy in foreign currency, enrich forex reserves and improve dong liquidity,” the Hanoi-based bank’s analysts said.